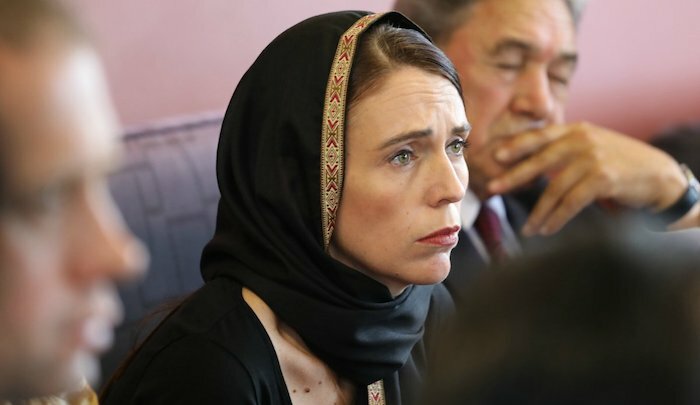 The shock and horror that Jacinda Ardern and other New Zealanders are feeling over the attack is understandable. The good intentions of these initiatives are obvious. Unfortunately, however, it will henceforth be difficult, if not completely impossible, to discuss the jihad threat in New Zealand; fueling the hatred that led to the Christchurch massacre. observed on Friday to mark a week since the Christchurch mosque shootings. New Zealand has a pitiful, moronic, apologist, self-destruction advocate as its PM. And I thought their gov’t was pathetic before. I knew she was pushing for strict gun control, but this is even more inexcusable. I have a nephew who, as this is being written, is in Aukland on business from his home in Brisbane, Australia. If a psycho shoots up a Roman Catholic church, we can expect her to ask Muslims to pray the rosary or genuflect or similar. Right? Yeah, right! But it will probably be muslims shooting up the Catholic Church!